Saving the world’s coral reefs will require a multi-pronged approach that ranges from actions at the local to the global level. Globally we need to dramatically and rapidly reduce energy consumption, switch to renewable sources of energy, and conserve carbon-absorbing ecosystems (forests, wetlands, and mangroves). Locally we need to manage threats such as overfishing and pollution, while at the same time repopulating target reefs with resilient, genetically-diverse and reproductively-viable populations through restoration and novel ecological interventions. Immediate and aggressive action to address climate change, while absolutely critical, is only part of the larger equation to ensuring a future for coral reefs and the ecological and economic services they provide. Carbon already released into the atmosphere will continue to warm ocean waters to a level inhospitable to corals for decades to come. Increased bleaching combined with reproductive failures, resulting from various factors including continually decreasing population size and density, sets the stage for ecological collapse. If the critical ecologic and economic functions that corals reefs provide the world today are to be preserved, it is necessary to buy time and increase ecosystem resilience in the shorter term. Coral reef restoration can help span the predicted gap between the present when existing coral populations are threatened with extinction, and a future ocean that is hospitable again to corals. 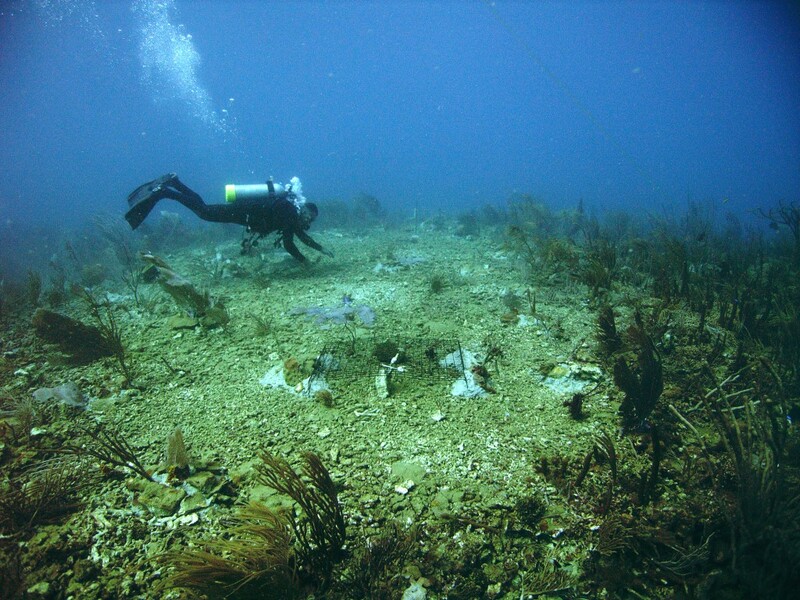 Current work is showing that restoration of reefs is possible, and the spatial scale of success is steadily increasing. In the near future, by harnessing promising research on novel ecological and genetic intervention strategies, restored reefs can be more resilient. Working to close the gap between success at the local level and impact at the ecosystem level will not be easy or quick, but it is the current goal and trajectory of the coral reef restoration community.